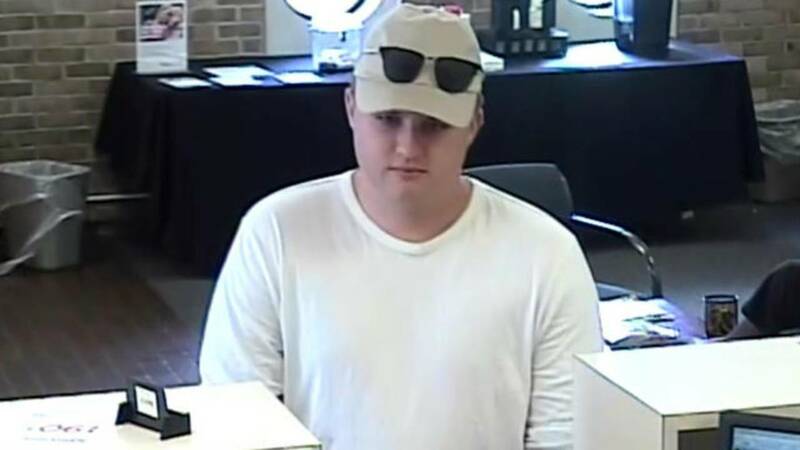 LATHRUP VILLAGE, Mich. - Lathrup Village police are searching for a man wanted in connection with multiple bank robberies in the area. The man in the photo above robbed the TCF Bank at 17535 12 Mile Road around 2 p.m. Wednesday, police said. He walked into the bank and gave the teller a note, according to officials. It's unclear how much money was stolen. The man is 5 feet 10 inches to 6 feet tall, weighs about 200 pounds and is in his 20s or 30s, police said. Officials believe he is responsible for multiple bank robberies in the area. Anyone who recognizes the man is asked to call the Lathrup Village Police Department Detective Bureau at 248-663-6031.